These shorts from PinkBlush: love them so much. The pom-pom detail, the navy, the elastic waistband...they're comfy, cute and fun. I'll be wearing these until our weather starts to cool down in oh, early- to mid-October. This post about my favorite things to do with toddlers in the Dallas/Fort Worth area was a fun one to write. If you missed it, you can check it out here! 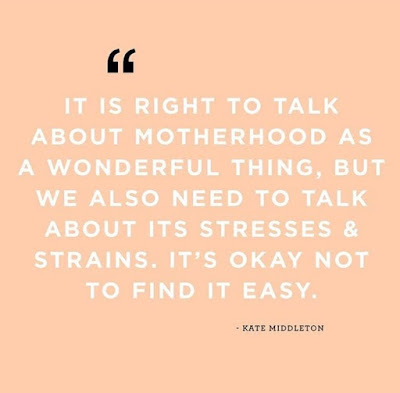 This quote from the Duchess of Cambridge I saw on Mama Fix's Instagram. I read it and was just overwhelmed at how much truth was in that one statement. 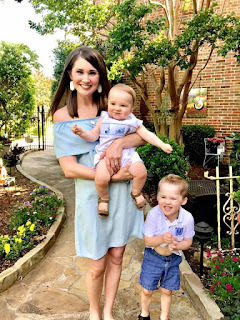 I feel that so many times, we often only discuss the positives of motherhood and forget to talk about how hard it can be sometimes, too -- especially on social media. I'm so guilty of this myself, but we'll only post the perfectly-staged pictures of our angel babies and pretend that life is perfect...when in all actuality, our three-year-old just threw a tantrum because we gave him the red vitamins he just asked for but now doesn't want; our one-year-old is screaming his newly-found high-pitched squeal because we won't pick him up while we dare try to go to the bathroom; our house has toys scattered all over the place; we just stepped on a LEGO; and our husband is traveling for business. So I appreciated reading this from her, because even I thought her life with nannies and stylists and hairdressers and a private secretary was all sunshine and roses...and it reminded me that being a mom is pretty universal: it's amazing at times and, quite frankly, it's really freaking hard sometimes, too. So thanks, Kate. 'Preciate your words of wisdom from across the pond. This article from Women's Health magazine. I was actually quoted in it, and I'm so thankful to the writer, Jessica Migala, for randomly reaching out to me. It was a super cool experience and one I'm really excited about and proud of. This brave boy. He got a big ol' boo-boo this week and handled it like a champ. I was a complete emotional wreck, but he was jumping around, laughing and up to his old tricks not an hour later. He's going to be four in January and it hurts my heart to even type that sentence. And this little one. I have a feeling he's going to give me a run for my money, but oh my gracious, his little four-tooth grin just melts me into a thousand tiny pieces. It's true what "they" say: if you ever want to see your heart living outside of your body, have children. 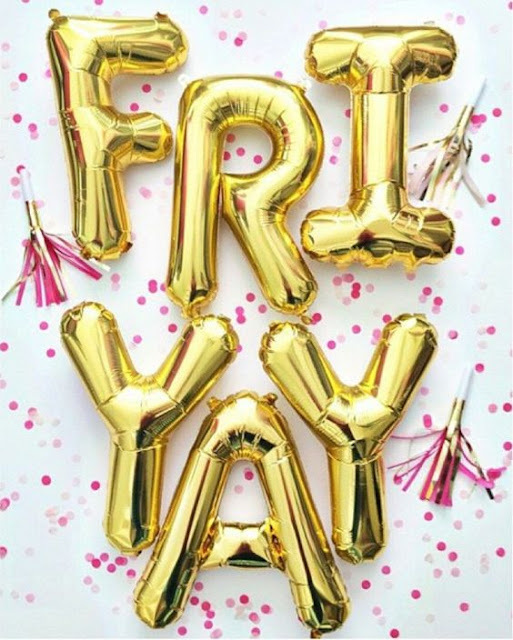 Happy Fridays! So many things I love about this post. Those pom pom shorts are darling. Duchess Kate is my spirit animal..she tells it like it is. And you know all too well just how much I talk about how hard motherhood is, thankful for your listening ear! So excited about your feature in women health, you should be so proud!! Have a wonderful weekend!! Wow I love that quote. Once again, Kate for the win! Mommyhood is so great but also so hard and shew I pray for patience at least 20x a day. And some days I'm like looking forward to going to work the next day haha! So excited for you about being quoted in that article! Have a great weekend! That was so cool you were quoted in that article!! Awesome job and so much fun! You should be proud :) Kate can do no wrong ;) Hope y'all have a great weekend!! Those shorts! Navy and an elastic wait band - perfect! I love reading the article you were quoted in - so excited and happy to see that for you plus I picked up some tips! I love that quote! 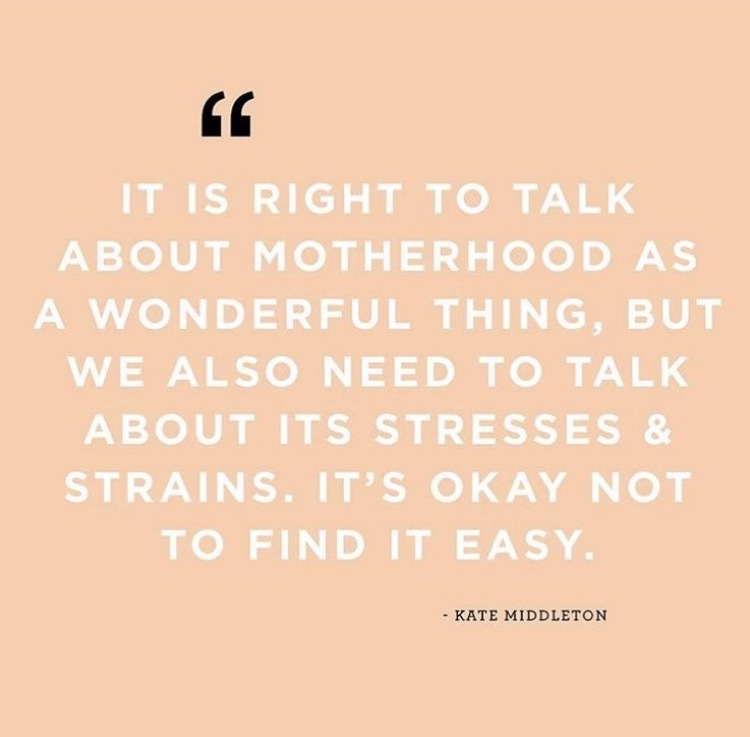 Motherhood is amazing, but you are right, we all need to keep it real. This season of life is challenging and we are all in this together! 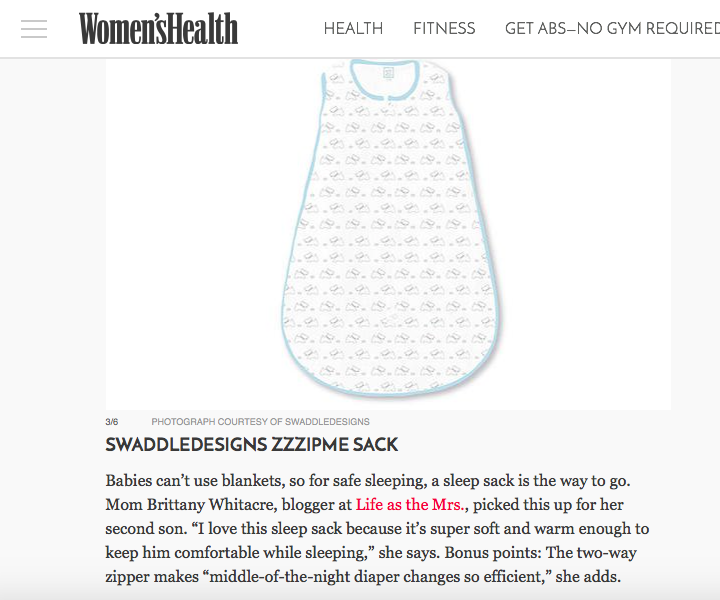 Congratulations on being quoted in Women's Health. What a great opportunity!